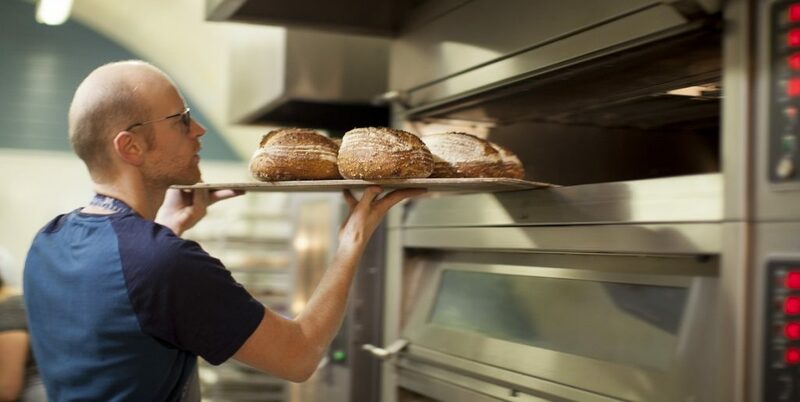 All our bread is sourdough made using just flour, water and salt along with our natural leaven. We use organic flour from Shipton Mill in Tetbury. A long, slow fermentation process produces bread that is full of flavour and character with great keeping qualities. This rhythm means our bakers work during the day and the bread is for sale as soon as it comes out of the oven.